Leverage the expertise of L4SB to help you form your new C-Corporation or S-Corporation, with the right paperwork and filings to the State. Price includes L4SB’s fee (of $275) and the state corporations filing fee, which assumes a maximum of 100,000 shares will be authorized for your corporation. Additional authorized shares are possible, but will result in higher state fees (typically, $100 per 100,000 shares authorized, to a maximum of $1,000). A Registered Agent is a person or company, with a mailing address (not PO Box) in the state your company is registered in, who can receive service of process and governmental notices on behalf of your company. This is NOT a physical address for your company. A federal employer identification number (FEIN), also known as a federal tax registration number, identifies a business for taxation purposes, similar to a social security number but for businesses. Since banks and brokerages will require one if you wish to open an account or borrow money in the LLC's name, most small business owners will find obtaining an FEIN necessary. 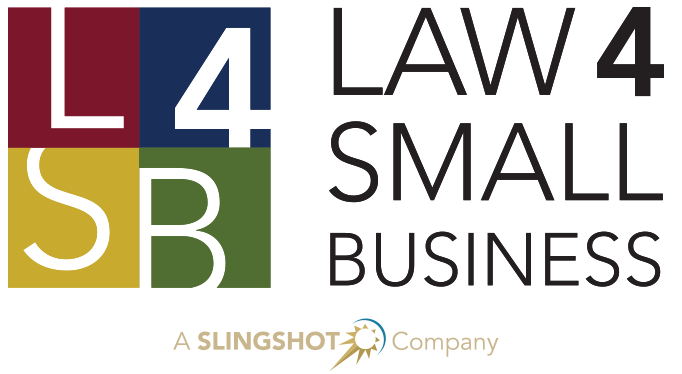 This is a formal PDF issued by L4SB, on our letterhead, signed by an attorney, and notarized, indicating legal ownership of the your new company at time of formation. This is an excellent way to assert ownership, although it is not legally required. Some vendors, including some banks and merchant account providers, have asked our clients for such a document. This is a simple template MS Word document that you can use to assert ownership. The document is issued by your company, and helps prove ownership to vendors, banks, merchant account providers and more. Spice-up and make your official electronic correspondence look professional with a black-and-white and gold embossed digital signature created for your company. We provide four (4) files, one transparent PNG and one JPG, for each of the gold and black-and-white seals. 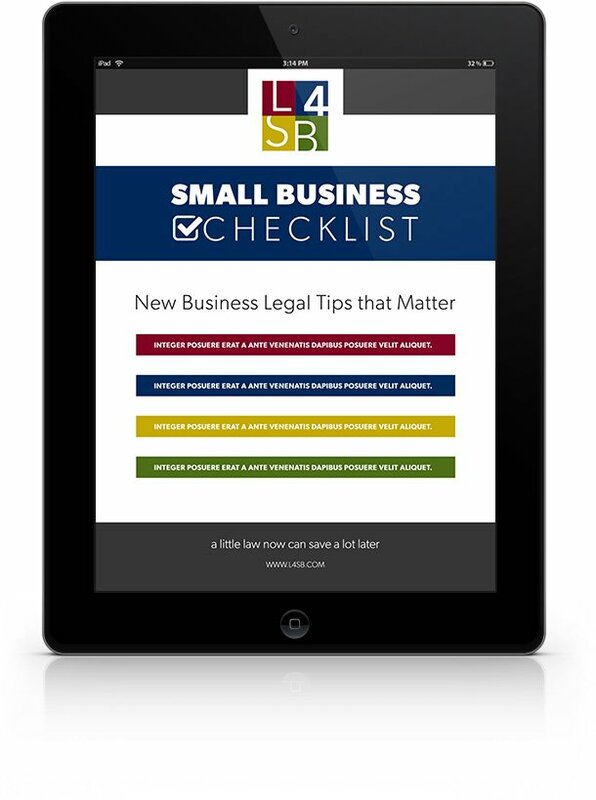 This helpful E-Book is authored by L4SB attorneys, and provides valuable information for new business owners that cannot be found on the L4SB website. Before you commit to a name, and spend your hard-earned money on logos, collateral and more, consider that your chosen company name could be in use elsewhere. 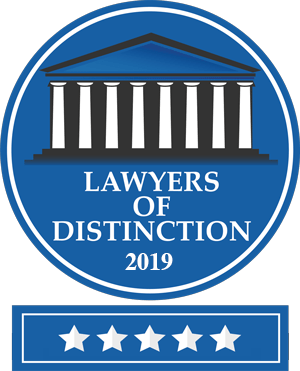 Our Company Name Risk Assessment can help you avoid having to change your company name in the future as well as potentially expensive trademark infringement lawsuits. With this Company Name Risk Assessment, we will conduct a detailed trademark search using the US Patent and Trademark Office (USPTO) database and Google, and give you a risk assessment for your particular company name under the “likelihood of confusion” analysis that is used in the USPTO and in trademark infringement litigation. Get your virtual mailbox at L4SB. We will collect mail at this mailbox and forward it to you at your desired frequency. With a virtual mailbox, you can further preserve your personal privacy, use it as a business address, or use it to keep your mail orderly. It is like having a post office box without having to check on it yourself. Our virtual mailbox service starts at just $20 per month and includes one sending at the end of each month. There are no commitments, and you can cancel anytime. If you want us to send your mail more often or at a different time, we will do that too for an additional $10 handling fee plus postage per send. Regular Volume - Unlimited letter sized mail. Low Volume - Up to 15 pieces of letter sized mail per month. *Letter sized mail is defined as any letter with a length between 5 and 11.5 inches, a height between 3.5 and 6.125 inches, and a weight no more than 1 oz. To obtain a mailbox, you will need to send us an original copy of USPS Form 1583. If you're in a hurry, you cannot beat the Online Notary Service. Please note that it's currently taking 4-6 weeks to approve new formations, unless you rush. The time estimate is for state processing and handling only, and does not include office mailing time. Finally, rush service is NON-REFUNDABLE, even if the State of California rejects your application. If you intend to use a name other than your company name, you need to register that name as a DBA, or "Doing Business As," which is called "an assumed name in Illinois." *Rush or expedited services are for state processing and handling only and does not include office mailing time. Rush or expedited services are for state processing and handling only and does not include office mailing time. Section 130(4) of the NY General Business Law requires that a certified copy of the filing be displayed on the premises where business is conducted under an assumed name. The State of Nevada does require additional work, when doing business in Nevada. In particular, you MUST obtain your business license and you must file an initial list of directors, which is due the last day of the month following the filing date of your new corporation. To save money, some clients wish to file these documents themselves, which is why we list these as options. If you want Law 4 Small Business to do this, you must select them as options. If you do not select these options, Law 4 Small Business will NOT FILE these important documents on your behalf. If you intend to use a name other than your company name, you need to register that name as a DBA, or "Doing Business As," which is called "an assumed name" in Texas. The Assumed Name You Intend to Use?